Description: Digitization provided by the USF Libraries Digitization Center. Rare Maps. 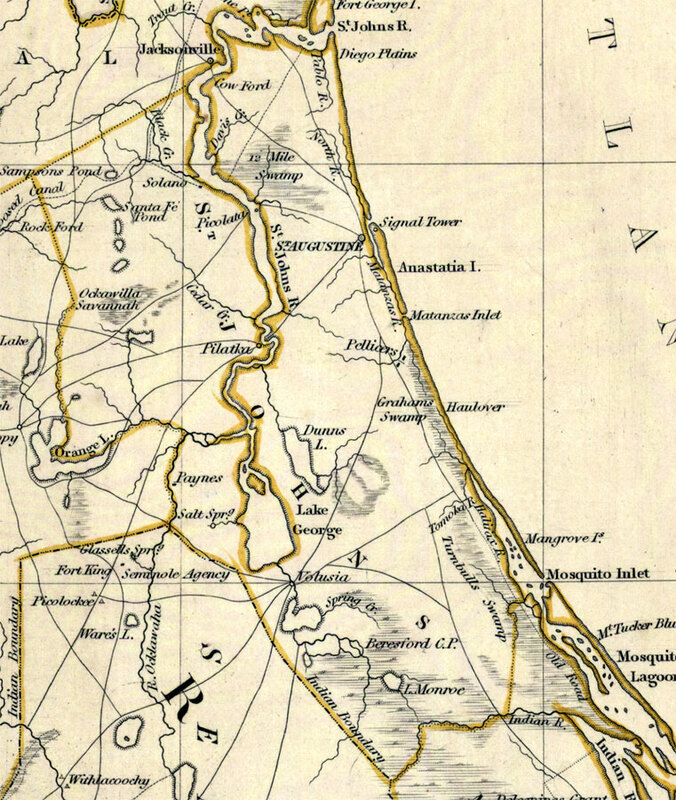 This is a detail of St. Johns County from a hand colored map of Florida, circa 1834. St. Johns County is shown encompassing some of present day Duval, Clay, Putnam, Volusia and Flagler counties. This map shows cities and towns, inland waters and county borders. There are inland waters such as St. Johns River, and the Indian River. Scale [ca. 1:1,774,080].